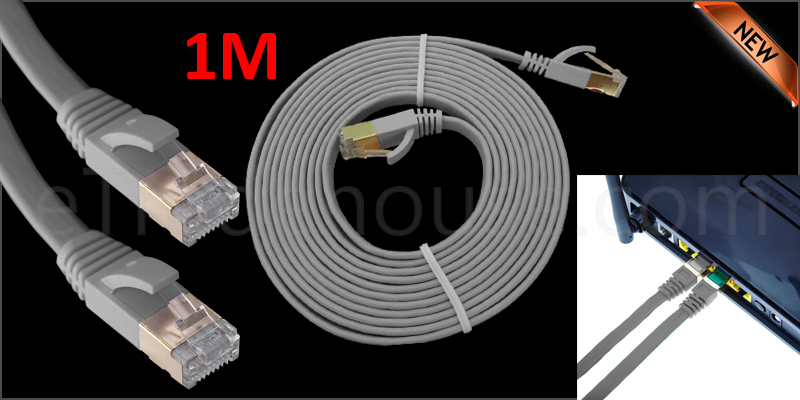 1 Meter Flat RJ45 CAT7 Ethernet Network Cable LAN. Double Shielded Twisted Pair Cable prevent electromagnetic interference (EMI) and reduce crosstalk noise. Twisted Pairs with bright colours for easy recognition. 1x 1 Meter Flat RJ45 Cat7 SSTP Gigabit Ethernet Cable.